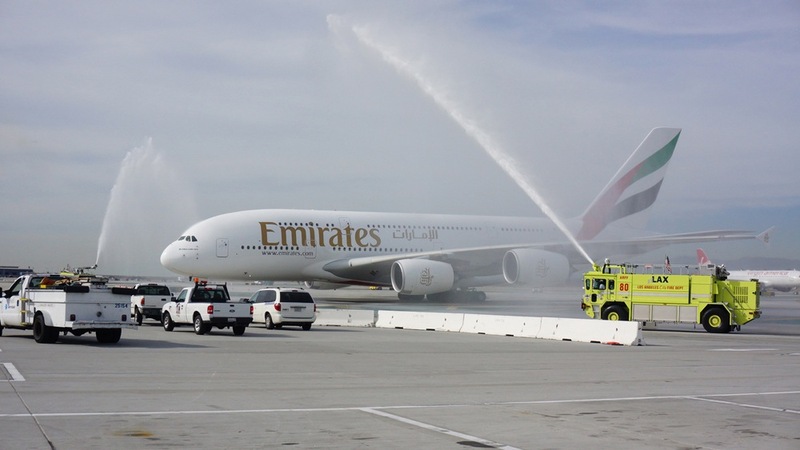 A Water Cannon Salute Welcomes the Emirates' A380 in Los Angeles. 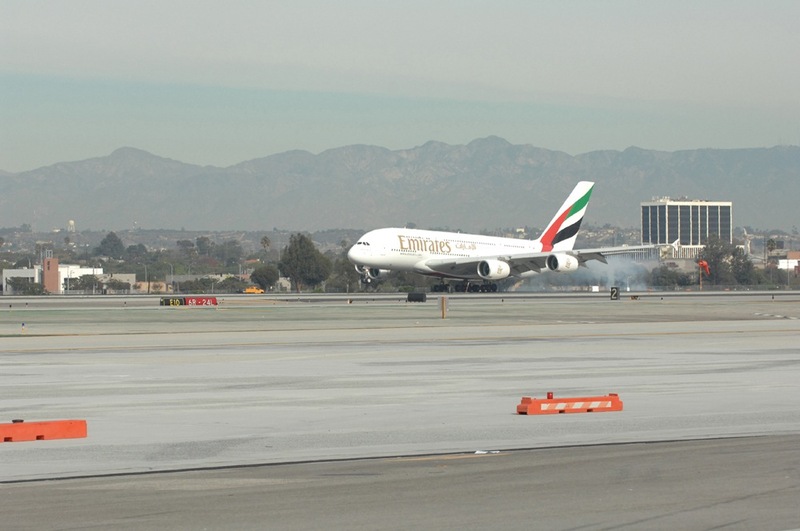 Emirates' Longest A380 Flight Touches Down in Los Angeles. 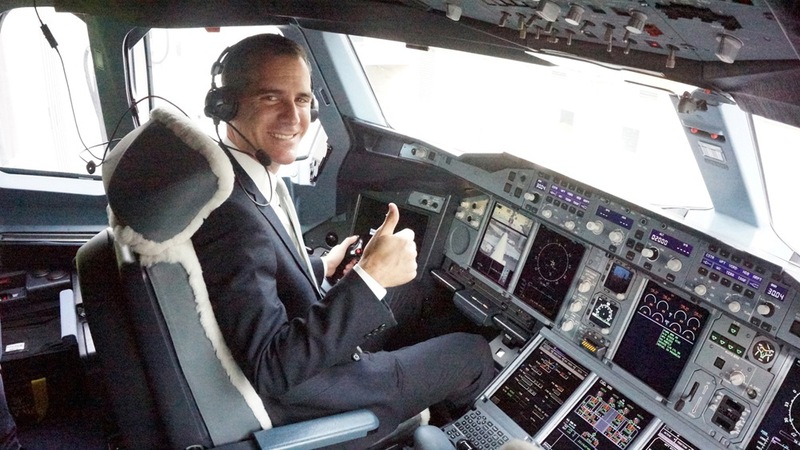 Los Angeles Mayor Eric Garcetti Experiences the Captain's Seat on the Emirates' A380 in Los Angeles. 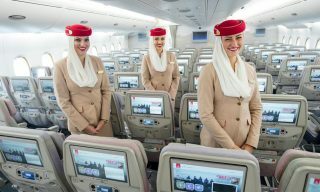 With a published duration of 16 hours and 20 minutes, Emirates’ Airbus A380 service to Los Angeles from its Dubai hub has become the world’s longest A380 flight in operation. 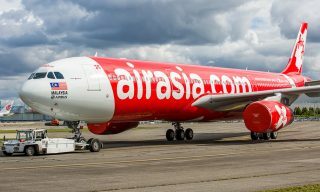 The route has been in service since 2008 when a Boeing 777-200LR operated the path. 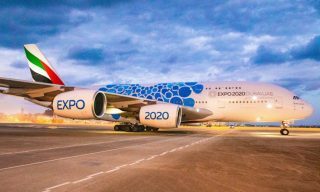 This week the 489-seat A380 was deployed on the route due to high demand for the service with more than 1 million passengers traveling between the Los Angeles and Dubai thus far. 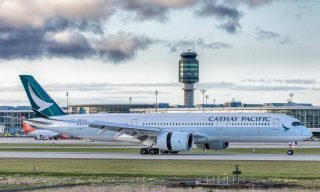 The flight crosses the Russian Federation, North Pole, and Eastern Canada before making it to its West Coast destination. 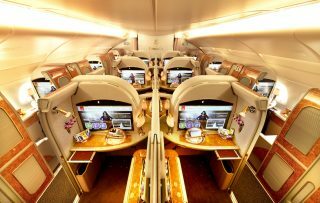 Emirates’ A380 is fully equipped for the lengthy flight including WiFi, 1,500 channels of in-flight entertainment, and gourmet-chef prepared meals served by a highly-trained, multi-lingual cabin crew. 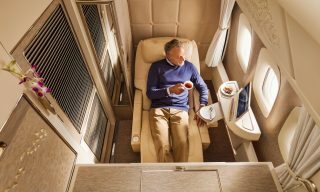 A generously proportioned Economy Class, Business Class with mini-pods, and private suites in First Class allow a comfortable journey in all cabins though the time length of the flight may be less than desirable. 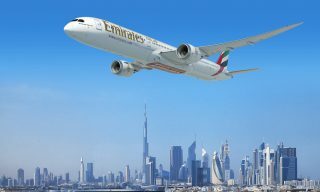 Emirates operates 63 weekly flights to the U.S, including San Francisco, Seattle, Dallas, Houston, Washington D.C., and New York.